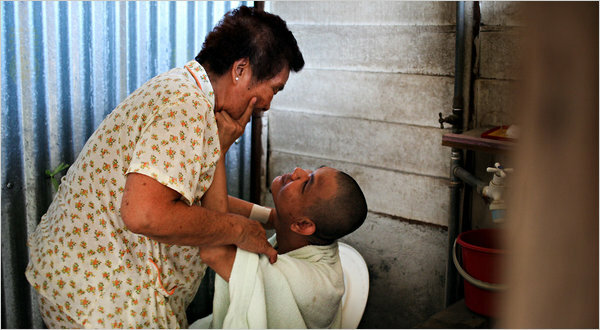 Lai Kwan prepares to bathe her son, Cheah Kok Leong, who was born with severe mental disabilities. She believes that his condition is related to the radioactive exposure she received while working at the Mitsubishi Chemical’s refinery in Bukit Merah. BUKIT MERAH, Malaysia — Hidden here in the jungles of north-central Malaysia, in a broad valley fringed with cave-pocked limestone cliffs topped with acacia and durian trees, lies the site of the largest radiation cleanup yet in the rare earth industry. MCA ADUN for Kuala Kubu Baru, Wong Koon Mun used to misunderstand my statement and it is most unfortunate that he repeated the same mistake two days ago when he openly criticised me for trying to stop spouses of postal voters from becoming postal voters on polling day. He further criticised me that my statement is against the spirit of democracy as my suggestion discourages spouses of postal voters from casting their votes on polling day as “they have to travel all the way back to their hometowns to vote”. I believe Wong Koon Mun has problems in understanding simple news article that I seriously believe that he should take up a tuition course by the Selangor State Government under the Program Tuisyen Rakyat Selangor (PTRS) in order for him to understand what I said exactly on 20th February 2012. 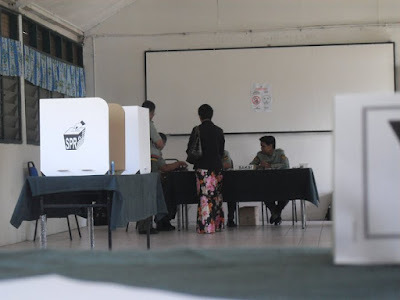 I challenge him to show evidence that I said specifically that I suggested that spouses of postal voters, mainly army personnel and police officers, should not be enlisted as postal voters but “they have to travel all the way back to their hometowns to vote”. What I said very clearly on that day, was that spouses of postal voters should just cast their votes on the same polling day in a normal polling station, just like any other voters instead of allowing them to vote in army camps a few days earlier than normal polling day. The reason I gave was that spouses of postal voters do not have any official duties to be carried out on the polling day. Thus it is unnecessary for the EC to enlist them as postal voters. Although there are provisions for postal voters’ spouses to choose to become postal voters, such provision should be reviewed based on the reasons stated above, that the merit of postal voting system is to allow army personnel, police officers and any other civil servants with duty on polling days to cast their votes on the polling day. What duties do spouses of postal voters have on polling day to the extent that they have to become postal voters and that they cannot vote in the nearest polling station to their camps? Why such double standards when many East Malaysians working in Peninsula (or vice versa) or Malaysians working or studying overseas are not enlisted as postal voters? Is this democracy? Wong Koon Mun further challenged me that I should lodge complaints with EC instead of seeking public and media’s attention by publicising the matter. I would like to clarify categorically that before I had the press conference on 20th February, Hulu Selangor DAP Parliamentary Liaison Committee Chairman, Mr Ch’ng Boon Lai, had already lodged 33 complaints with EC. Therefore, I do not understand why Wong Koon Mun put up such meaningless challenge on me. I also said that conventionally, postal voters tend to support Barisan Nasional more than the oppositions. I firmly stand by my statement unless Wong Koon Mun can produce evidence to show otherwise. Ever since PR took over the administration of Selangor in 2008, the state government never raised a single sen in assessment rate in all the twelve local councils in Selangor, which is why the allegation made by BN Selayang coordinator Jessie Ooi that Selangor has raised the assessment rate is clearly misleading and incorrect. 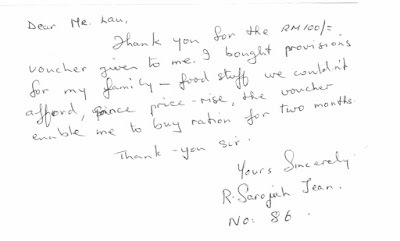 Tow days ago, BN Selayang coordinator Jessie Ooi was trying desperately to explain her way out. Not only did she deny that she criticised the alleged increment in assessment rate in Penang during a debate between Lim Guan Eng and Chua Soi Lek, she pointed her finger at Selangor now, saying that when she mentioned about the increment in assessment rate, she was actually referring to Selangor and not Penang. "CM Lim, I am half a Penangite. Just now you said that you want to reduce the burden on the rakyat; and secondly, you said you all earned a lot of money. Now I am telling you, that you have misled the rakyat! This is because assessment rates have increased, prices of commodities have also increased!" It is obvious that what Jessie Ooi said was that the assessment rate has "increased", but yesterday Jessie Ooi turned around and said that she was actually referring to Selangor instead of Penang. Netizens from Penang have since produced cogent evidence to refute the allegations made by Jessie Ooi. 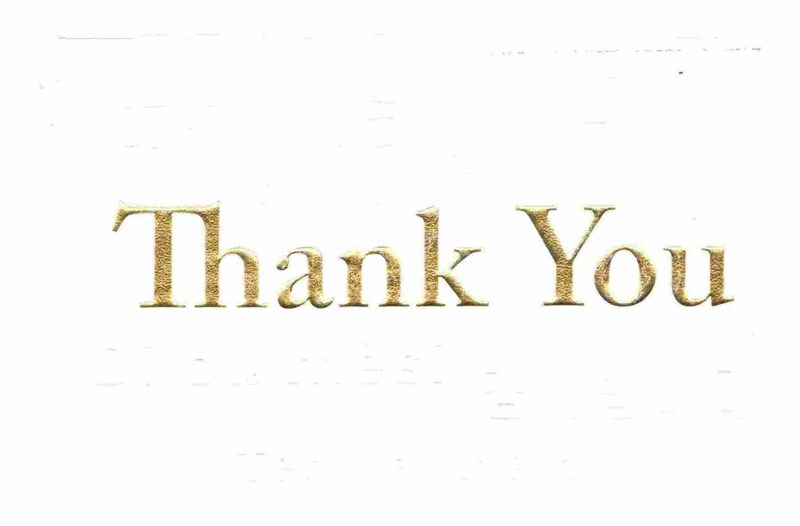 As a result, and only after a few days have passed, that Jessie Ooi came up with the explanation that she was referring to Selangor and not Penang. I would like to ask Jessie Ooi, if indeed she was not referring to Penang, why did she even need to take 72 hours to clarify the said matter? "Actually I was referring to Selangor PR Government’s unfulfilled election promise that if they were elected they would lower the Selangor’s assessment rate during the election in year 2008. 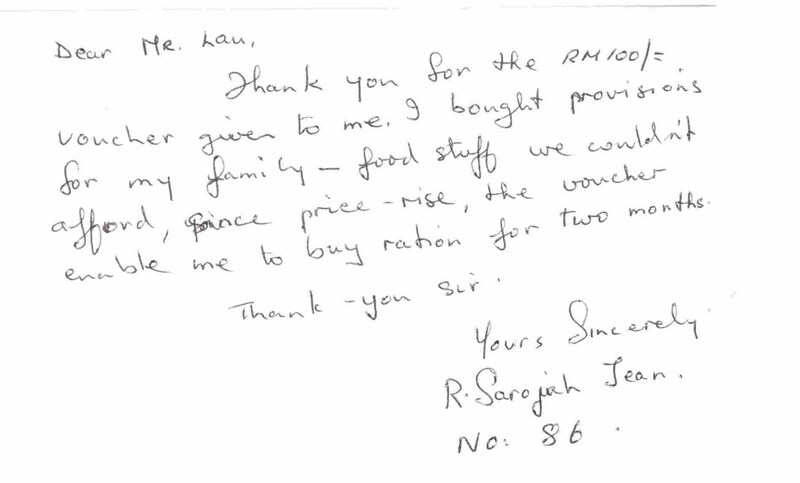 This is an issue about the rakyat being dissatisfied with the Selangor PR Government. News report saying that I was referring to the Penang assessment rate is therefore incorrect." Secondly, if indeed she was criticising Selangor, that Selangor PR Government failed to lower the assessment rate as promised, why, then, did she say that the assessment rate has "increased" instead of "not lowered"? Clearly "increased" and "not lowered" are two totally different and unrelated matters. Thirdly, why did she put the blame on media for misreporting? Almost every single media, be it the newspapers, the internet or electronic media, have accurately reported her remarks at that point in time. Just because she has expressed it wrongly, she should not have blamed everything on the media; instead, she should apologise to the public immediately instead. In fact, for almost four years since PR took over the administration of Selangor, it has never raised a single sen in assessment rate. Some local council have not revised their assessment rate for more than ten years, an example being the Kajang Municipal Council (Majlis Perbandaran Kajang or MPKj), which never raised its assessment rate since the year of 1985. Ironically, some district council like Petaling Jaya City Council (Majlis Bandaraya Petaling Jaya or MBPJ) has raised its assessment rate from 8% to 8.8% during the era of BN as Selangor government, despite fierce opposition from rakyat. In contrast with the current situation after PR took over the administration of Selangor, MBPJ in 2009 actually lowered the assessment rates for high rise apartments and condominiums by 2%. This year itself MBPJ has also passed a policy, whereby property converted into energy efficient building will be entitled for rebate in assessments. My statements above are backed by sufficient evidence to refute the criticism directed by Jessie Ooi towards the Selangor PR Government. However, I am wondering if Jessie Ooi could produce any evidence to support her claim that the Selangor Government has increased the assessment rate. If not, I strongly advise Jessie Ooi to issue a public apology for her misleading and incorrect remark. Rosmah Mansor attended Perkasa dinner, what say you MCA? The fact that the Prime Minister’s wife Datin Seri Rosmah Mansor recently attended a dinner held by Pertubuhan Pribumi Perkasa Malaysia (PERKASA) shows that the Barisan Nasional (BN) Government is secretly supporting PERKASA. What is most unfortunate is the fact that to date the MCA is still unwilling to openly severe its ties with PERKASA. PERKASA has always been an extreme and racist organization since its very inception. They often hide under the guise of Non-Governmental Organisation (NGO) when in fact they are nothing more than UMNO’s peripheral organization. The fact that the Prime Minister’s wife Datin Seri Rosmah Mansor attended PERKASA’s fund raising dinner shows that the Prime Minister Najib and his administration secretly endorsing extremism and racism. The notion of 1Malaysia as promoted by the Prime Minister is just a sham. Unfortunately to date MCA is still unwilling to stay clear of PERKASA by prohibiting its members to participate in activities held by the same. Is this not equivalent to MCA supporting PERKASA inflicting harm upon the Chinese community with its extremist actions and speeches? MCA and its President Dr. Chua Soi Lek in particular owe the Chinese community a reasonable explanation with regards to the conduct of the Prime Minister’s wife in attending PERKASA’s dinner. PERKASA has on more than one occasion made extreme and racist remarks hurting the non-Bumiputera community. 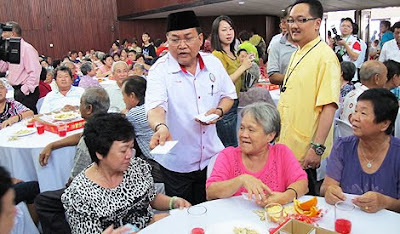 PERKASA’s President Ibrahim Ali even gave out white Ang Pows to Chinese old folks during the last Chinese New Year with the intention of challenging the Chinese taboo. Not only did MCA not criticise such conduct by Ibrahim Ali, its President Dr. Chua Soi Lek even stood up for the same saying that he did not do it on purpose. However, the fact remains that Dr Collin Tiew, the MCA member who recently resigned from all party positions did inform Ibrahim Ali that giving white ang pow is inappropriate and yet he chose to ignore this. This goes to show that Ibrahim Ali’s action was indeed intentional and yet Dr. Chua Soi Lek of MCA keeps condoning PERKASA’s extremist conduct. What is the reason behind this? Is it because MCA itself supports PERKASA’s extremist approach, so much so that it felt reluctant to prohibit its members from associating with PERKASA or even to sever its ties with the same? What, we may ask, is the relationship between MCA and PERKASA? To add insult to injury, MCA Kampung Tunku Liaison Office Kelvin Chong Seng Foo once demonstrated with PERKASA’s ex-youth leader Arman Abu Hanifah in the protestation against one of the State Government’s proposed development in Sungai Way Free Trade Zone (FTZ). MCA’s leaders, be it state level or otherwise, also participated in demonstrations held by PERKASA, one of it being the Anti-Pakatan Selangor Protest held on 3rd of December 2010. Enough is enough. Although MCA has in the past openly criticised PERKASA, MCA and Dr. Chua Soi Lek have never officially reprimanded PERKASA’s conduct and remarks. It has also failed to prohibit its members from continuing to participate in activities held by PERKASA. This begs the question of whether MCA and PERKASA are indeed secretly colluding with each other. MCA President Dr. Chua Soi Lek has criticised DAP during the last debate with DAP leader Lim Guan Eng, that the DAP is attempting to use Chinese control Chinese and establish a two-race political system, but what we can see is that the Prime Minister Najib remain silent for Perkasa, whilst at the same time talk about so called moderate governance during festival at Fo Guang Shan. This is showed that BN and Najib is the ultimate supporter of Perkasa, talking about moderate way in front of Malaysian Chinese, then secretly endorsing and even supporting Perkasa’s extremist agenda, this is what we called a two-race political system. MCA is just a servant of UMNO. UMNO is using MCA to govern the Malaysia based on different races, this is the real Chinese control Chinese, thus the real two-race political system. SHAH ALAM: The extra 400 postal votes in the Kuala Kubu Baru state seat, now held by Barisan Nasional, could affect Pakatan Rakyat’s chances in the next general election. DAP Selangor organising secretary and Kampung Tunku assemblyman Lau Weng San, who is looking after the constituency, said 33 of the 400 new postal voters were spouses of army staff. “We have filed an official complaint as the wives of soldiers are not on duty like their husbands and can cast their votes via the normal process,” he said. In the 2008 general election, the BN won the seat with a 448-vote majority. “This will definitely affect Pakatan’s chances of winning the seat as we fair badly when it comes to postal votes,” Lau said at a press conference at the Selangor State Secretariat here yesterday. He added that the new postal voters were from the 4th Royal Signals Regiment camp. Lau said that the complaint regarding the wives of the soldiers had been submitted to the Election Commission (EC) on Feb 10. “The EC officer who recorded the complaint assured us that the matter would be investigated,” he said. He also cautioned voters to check their records and voting status to make sure they would be casting their votes at the right places. “Be careful, we cannot deny anyone’s right to vote but we have to check if it is valid,” he said. DAP’s Kuala Kubu Baru coordinator for new villages Chng Boon Lai and Hulu Selangor councillor Law Suet Peng were present at the press conference. MCA Youth Selangor state chairman Dr. Kow Cheong Wei is helplessly lost when it comes to the issue of the state’s school land allocated to Chinese schools SJKC Yak Chee and SMJK Katholik. His senseless attack on Selangor Senior State Exco Teresa Kok is an act of an irresponsible politician. In a statement released today, Dr. Kow has rudely labelled Teresa Kok things she is not. He appears to be utterly misled by his party youth chief Wee Ka Siong in believing that the Selangor state government has not allocated land for the schools. Dr. Kow also accused the PR-led state government of only providing a support letter to the ministry for the schools’ building and not the land approval. This is misleading. The fact is that the Selangor state government has approved the allocation of the school land but the Education Ministry (MOE), where Wee is deputy minister, has rejected the schools’ wishes to build its branches on the allocated land. Teresa Kok, and other members of the Selangor state government, has clarified this matter on numerous occasions while providing written evidence on the matter. The evidence includes the state EXCO paper on the decision - Kertas MMK. No. 46/40/2011; a letter dated 30 September 2011 from the state government to the MOE informing them the decision of the approved land; and the MOE’s written reply on 25 November 2011 rejecting the request to allow the schools to build their branch structures on the school reserved land. The Education Act 1996 requires the state government to get approval from the MOE for the building of school structures before the state government provides land titles to the schools. Therefore, it was necessary for the state government to write to the ministry to inform them of the Exco decision to allocate the land and to get the ministry’s approval for the schools to be built. This also means that the MOE is the one who is preventing the schools from going ahead with its plans to build the branches. This shows that Dr. Kow’s assertions in his statement that the state government has not approved the land are basically incoherent ramblings of an insignificant MCA lackey. Therefore, I strongly urge the clueless Dr. Kow, the incompetent Wee and the irrelevant MCA to stop its abusive attacks on Teresa Kok and the Selangor government. They need to focus their attention and energies in lobbying the education ministry to approve the schools’ request to build its structure on the land allocated to them by the state. Stop wasting Teresa’s and the state’s precious time and stop neglecting the real needs of the rakyat. This is crucial especially as these school students need school buildings to accommodate their academic needs immediately.